Ask about our competitive prices today! Arrive in Ankara, the capital of Modern Turkey. Meet your guide & driver then transfer to your hotel. Day at leisure. Welcome cocktail and dinner at the hotel. Full day tour of Ankara including the Museum of Anatolian Civilizations, which houses the richest collection of artifacts. These artifacts include pre-historical materials, Neolithic cave drawings, and utensils from Catalhoyuk, the earliest known city in the world. See thousands of objects brought in from different parts of the country that give us an overall picture of the Hittite, Phrigian, Lydian and Urartian civilizations. Proceed to the Temple of Augustus and the Mausoleum of the founder of Modern Turkey, Ataturk. After lunch, drive south to Cappadocia, the land of fairy-chimneys via the Salt Lake. In ancient times, inhabitants carved underground dwellings out of the soft volcanic rock which eventually grew to become entire cities. Dinner in Cappadocia. Continue our full day tour of the region. Our first stop is at Goreme, where we will see a lot of rock cut churches with beautiful frescoes. Drive to see the Pashabagi Valley before arriving at Zelve Open Air Museum which was one of the earliest monastic settlements in the area. Visit of the Pigeons’ Valley and the Castle of Uchisar. Dinner at the hotel. In the morning, drive to Tarsus. En route, visit one of the Underground Cities of Cappadocia which was used in times of danger. Drive south crossing the famous Taurus mountain range. Arrive at Tarsus, the birthplace of St. Paul. Visit St. Paul’s Well, the Gate of Cleopatra and the recently excavated Roman Street & Marketplace. Drive to Adana for dinner. Full day excursion through the Assyrian Gates to Antakya (the biblical city of Antioch) pleasantly situated on the Orantes River. 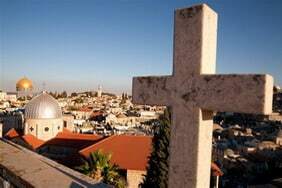 Here, the early Christians established their first major Gentile community outside Palestine. 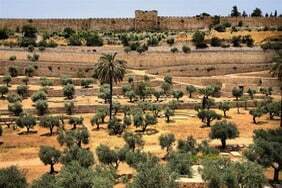 Antioch was also the point of departure for Paul’s missionary activity throughout Anatolia. At the Grotto of St. Peter, meeting place of the early Christian community, we may have a liturgy. Following lunch, visit the Hatay Archeological Museum to view the world famous mosaics from Daphne and the surrounding area. Return to Adana for dinner at the hotel. Drive over the picturesque Taurus Mountains and pass through the famed Cilician Gates. Crossing the Anatolian plateau, we come to the famed city of Konya (biblical Iconium). Although Paul was not successful in establishing a community here, Konya became world famous as the school and burial place of the Sufi mystic poet and teacher, Mevlana (Jalal-ud-Din Rumi). After lunch, visit the Mevlana Museum which houses the tomb of this famous spiritual leader that has become a sacred Islamic shrine and place of universal pilgrimage. From there we proceed to the Karatay Museum, ancient Islamic theological school and displays of exquisite Selcuk tiles of the 13th century. Dinner at our hotel in Konya. En route to Antalya, we will visit the ancient Roman city of Psidian Antioch where Paul established one of his first communities in Anatolia. Time permitting, we may celebrate a liturgy in his famed Greco-Roman city. Following lunch at a local restaurant, proceed south past beautiful Lake Egridir through the scenic Taurus Mountains to Antalya, one of the most famous resorts on the Mediterranean coast of Turkey. Dinner at the hotel. After a short day-trip from our hotel to Aspendos, visit one of the best-preserved Hellenistic theaters in Asia Minor, built by the emperor Marcus Aurelius. From Aspendos we pass the impressive system of aqueducts used to bring water to the city. Following lunch at a local restaurant, we will tour Perge, a wealthy and beautifully decorated city from Hellenistic times. 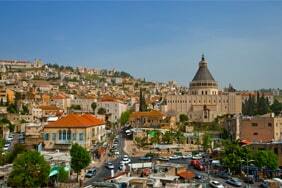 Its remains today are second only to Ephesus among the cities associated with the apostle Paul. Dinner in Antalya. Leaving Antalya, journey northwest through the panoramic Taurus Mountains to Laodicea, one of the Seven Churches of Revelation. Following lunch, explore the ancient city of Hierapolis overlooking the Lycus river valley with its well-preserved theatre and large necropolis. Arrive to Pamukkale, which is famous for its medicinal pools and hot mineral springs that overflow so as to cover the rocks beneath with white deposits of lime that give the appearance of a frozen cascade. It is to these formations that the Turkish name Pamukkale (Cotton Castle) is due. Dinner in Pamukkale. From Pamukkale journey through the famous Meander River Valley to the seacoast city of Kusadasi. Visit Aphrodisias dedicated to Aphrodite, the Greek goddess of love. Known for its white marble, Aphrodisias was the site of the most sophisticated school of classical sculpture in Asia Minor. Visit a local museum dedicated to the preservation of artifacts from this ancient city, a famous and well-preserved stadium and the Temple of Aphrodite. Afternoon arrival at Kusadasi followed by dinner at the hotel. Morning tour of Ephesus, one of the best-preserved Greco-Roman cities in Asia Minor. A major center of Paul’s missionary activity, it was also the home of the Temple and cult of the goddess Artemis. During Paul’s day the temple was regarded as one of the Seven Wonders of the ancient world. Our tour of Ephesus includes the impressive Library of Celsus, the Great Theatre seating over 25,000 people, the Temple of Hadrian, the Marble Street and a special visit to the elegant Roman villas with their famous mosaics and wall painting. Time permitting, we will celebrate a liturgy at the site of the ancient Basilica of St. Mary where the Third Ecumenical Council was held. Visit the House of Virgin Mary, where according to tradition she spent her last years. Following lunch at a local restaurant, visit the Museum of Ephesus and the ruins of the Basilica of St. John. Dinner at the hotel. Visit the ancient city of Sardis, wealthy capital of King Croesus and the Lydian Empire. The look and atmosphere of the site, with its impressive Temple of Aphrodite and inaccessible acropolis, make it unique among the ancient sites of western Asia Minor. We’ll also visit the oldest and most impressive synagogue in Anatolia, as well as a Roman Gmnasium. Following lunch, continue on a short visit to the ancient city of Thyatria, home of Paul’s famous convert, Lydia, and dealer of luxury purple dyes. Dinner at the hotel. On our drive north from Izmir to Ayvalik we will visit the ancient city of Pergamum (modern Bergama), and center of the Attalid dynasty. The oldest part of the city is the Acropolis which rises steeply to a height of nearly 1,300 feet above the plain of the Caicus River. The library in the acropolis became in the second century B.C. one of the great centers of learning of the ancient world. Here are also found the famous Temples of Athena, Trajan, the famous Altar of Zeus, as well as the steepest theatre in the ancient world. At the base of the acropolis, we’ll visit the Asklepion, an important center of healing in Asia Minor and dedicated to the god of healing Asklepios. Here, the famous physician Galen was not only born but taught medicine early in his career. From Pergamum we continue our trip north. Dinner at the hotel. As we continue our trip north we’ll visit the ancient sites of Assos and Troas, two cities of western Anatolia associated with the missionary travels of Paul the Apostle. In Assos, we’ll visit the Temple of Athena built in the classical period and overlooking the famous island of Lesbos. From the harbor in Assos, Paul sailed northwest to Neapolis to initiate his missionary activity in Macedonia. 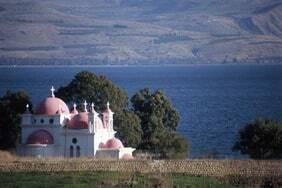 Make a short stop at Troas that is off the beaten track and not yet studied by archeologists. It was at Troas that Paul revived Eutychus after he had fallen from a window during one of Paul’s long sermons. After lunch at a local restaurant take a short trip to the ancient city of Troy – a place of myth and legend. Dinner at the hotel. In Canakkale, cross the famous Dardanelle by ferry and continue our journey eastward to the legendary city of Istanbul. For many centuries this city was the capital of the civilized world. Even though in 1922 Ankara became the capital of the newly proclaimed Turkish Republic, Istanbul continued to be the Turkish metropolis. It is the country’s largest city (approximately 12 million residents) and port, and the first destination for Turkish and foreign visitors alike. We will arrive at our hotel early, with the remainder of the day to be spent at your leisure. Dinner at the hotel. Today will be dedicated to visiting this ancient and exciting city of Istanbul. Our tour will include the Blue Mosque, Hippodrome, Underground Cistern and the Church of St. Sophia with its world famous mosaics and architecture. After lunch at the Topkapi Palace complex, we will continue our tour of the palace, one-time residence of the Ottoman emperors and now a world-famous museum housing extraordinary collections of jewelry, armor and imperial costumes. Complete the tour with a visit to the Grand Bazaar. Dinner at the hotel. Continue to explore more of Istanbul including the Chora Church (Kariye Camii), one of the most important monuments in Istanbul famous for its religious mosaics. Visit the Mosque of Suleyman the Magnificent. After lunch, drive along the ancient walls of Constantinople before returning to the hotel for dinner. Transfer to the Istanbul International Airport for your flight back home.